The number of seniors in California is expected to more than double by 2060, from roughly 5 million to 12 million. A new report from the Legislative Analyst's Office says this future senior population will be more racially diverse than seniors in the U.S. as a whole: the state's elderly population is projected to become majority nonwhite as soon as 2030. The proportion of these future seniors who are disabled will also increase. That's because nonwhite populations have higher disability rates. Seniors are also expected to live longer, and seniors over age 85 experience higher disability rates as well. Eventually, this will present new and difficult challenges for California in providing long-term care for these seniors, the report concludes. Seniors are now about 13 percent of the state population. By 2060, they will be 24 percent. California's Medicaid program, Medi-Cal, already spends $14 billion a year on disability services (for all ages). The federal government picks up about half of this cost. Education matters: More educated seniors experience less disability as they age, and educational levels among California seniors are projected to increase over time, which will somewhat offset the impact of other disabling factors. 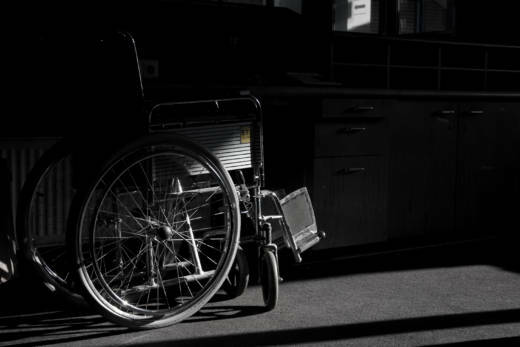 Unpaid caregivers will be crucial: There will be fewer working-age adults per senior in California in the future, so non-disabled seniors may be tapped to do more to care for their disabled counterparts. The report merely lays out the problem -- there's no conjecture on what the financial impact will be for Medi-Cal or the state. "Such projections are not available at this time," the report's author, Mac Taylor, concludes, although he might look into it someday, "subject to available data."